Is Your CPA Firm Capitalizing on These Powerful Cloud Services for Small Business? Data analytics; mobile accessibility; high-level data encryption … these are just a few of the things expected of today’s businesses. 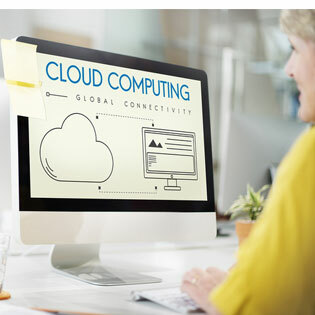 Conveniently, just as technology becomes so essential to the small business, cloud computing makes it affordable and available to all CPA firms. You don’t have to worry about being outdone by the big guys or being left in the dirt by competitors who happen to have a little more natural tech savvy than you do. With the right cloud services for small businesses, your CPA firm can capitalize on the latest advancements in technology, without putting the financial health of the firm at risk. Here are some of the cloud services you can take advantage of. You’ve probably already heard about SaaS, or Software as a Service, and how it can benefit the CPA office. SaaS services include a wide range of software products, from general business applications like the Office suite of software (Excel, Word, PowerPoint, and such) to CPA-specific tools like workflow systems, tax preparation systems, and accounting software. In addition to SaaS, cloud service for small businesses include DaaS, or Desktop as a Service. With this configuration, your desktop environments aren’t stored and powered locally on your computer. The desktop and software behind it are based in the cloud and made accessible to your computer(s). The advantages are plenty, including the obvious benefit of being able to log on from most any computer or device to do your work, plus, there are also security benefits and convenience benefits to the DaaS way of doing business. Arm yourself with our cloud report before you talk to your cloud provider about the DaaS and SaaS services that could most benefit your CPA business. You can already picture the advantages of DaaS when it comes to disaster recovery. You could literally lose every computer in your office and simply log into another system and continue to run your CPA firm and serve your clients without interruption. But backup and disaster recovery go beyond this. You can store all of your data and applications locally and have your cloud service back up and enable the disaster recovery process from there, or you can store your data and applications in the cloud, and turn all of the responsibilities for backing up and recovery over to your cloud service provider. Whatever level of small business cloud services that you’re comfortable with, there is an option to meet those needs, your budget, and your own cloud computing preferences. If you’ve ever emailed a document to a client or colleague and later not been able to identify which version is most recent or most relevant, then you understand the need for document management. With cloud services for small business, you can store all of your documents with your cloud provider. From there, you enable access only to the files you want and only to the people you choose to share them with. You can even elect to allow them to access read-only versions of the document or fully editable versions. By centralizing the storage and limiting access, there is never a doubt what the most recent, most accurate version of the document is. Also, there’s a record of who accessed it, when, and what they did with it. This eliminates the “I didn’t get the email” problem for good. This is just one example of how cloud services for small business make it easier to manage workflow and document versions. For the CPA’s purposes, it’s nice to know that the workflow and document revisions are also auditable. Best of all, the data is more secure with your cloud service provider than in your own data stores. Few CPAs have a double-specialty in cyber security, but with the right cloud service provider, data encryption and security comes as part of the package. Interested in learning more about how your CPA firm can capitalize on the latest advancements in technology, without putting the financial health of the firm at risk?